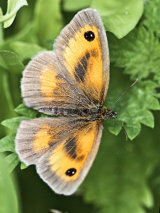 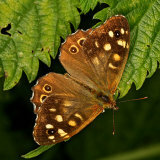 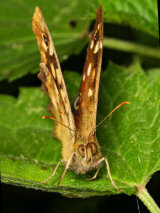 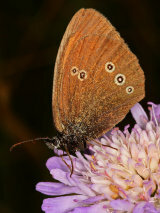 This family contains mainly brown and muted orange coloured butterflies with white-pupiled eye-spots, generally prominent at the tips of the forewings. 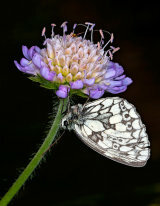 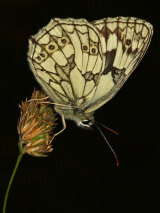 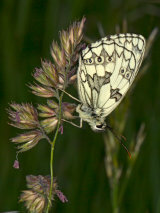 The exception is the Marbled White which superficially appears to be closer related to the Pierid family. 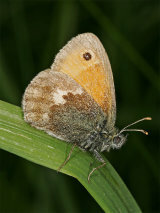 All caterpillars feed on grasses or sedges, are cryptically camouflaged and have tapering projections at head and tail. 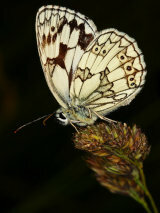 Chrysalises can be suspended or formed amongst moss and stones.